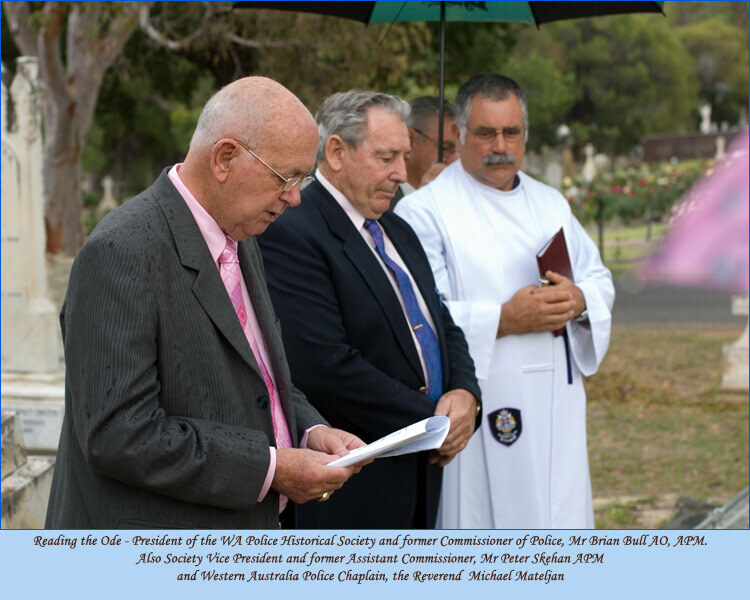 The Graves Project of the Western Australia Police Historical Society aims to locate the graves of pioneer police officers who gave a lifetime of honourable service to this State. Pioneer police officers, Police Aides, Aboriginal Assistants and Trackers are included in this project and where identified, dedication appropriate ceremonies are held. A ceremony was held at the Water Police Branch in North Fremantle to commemorate the eleven pioneer police officers who, under various circumstances (mostly shipwrecks and/or other storm related accidents), died at sea. Seven of these officers disappeared without further trace and their bodies were never recovered. In three of the cases bodies were recovered and buried, but the graves were never marked and their locations have now long since been lost. Only one officer, Inspector Joseph Farley, has a prior memorial which is in the Broome Cemetery. Inspector Farley died at sea in 1902. His death was due to a rare tropical disease contracted while extraditing (by sea) two alleged offenders from Jakarta to Broome via Singapore. After the ceremony the police launch Delphinus took a party of descendants of the deceased police officers out to Rouse Head where a wreath was cast out to sea in memory of their pioneer police ancestors. 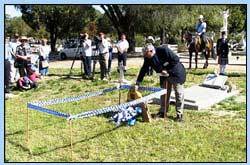 Another Graves Dedication Ceremony was held at Karrakatta on Sunday 22nd April, 2007. Seven previously unmarked graves were dedicated, three at Karrakatta and one each at East Perth, Northam, Kellerberrin and Leonora. 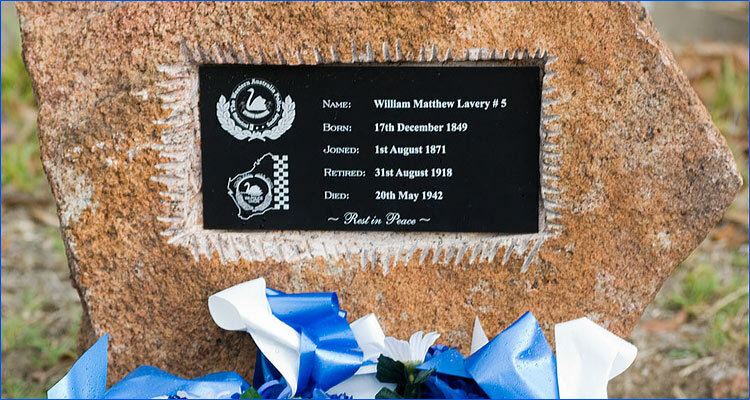 The actual ceremony was conducted at the grave of Sergeant William Matthew Lavery and was attended by seventeen members of this society. 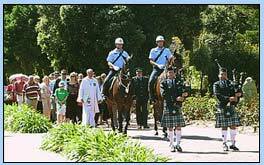 Regrettably we were unable to locate any descendants for the four officers buried in metropolitan graves, and the only relative located for a country member now lives in Greenbushes, so no descendants or other relatives of any of the deceased members attended the ceremony. This now brings to 80 the number of previously unmarked graves that fall within the ambit of this project. 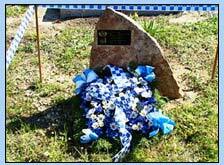 These projects are supported by the Western Australian Police Union and Police Legacy.